Six clothing-shaped pieces that I created during treatment for breast cancer have been selected for display by the City of Liberty (MO.) Arts Commission. 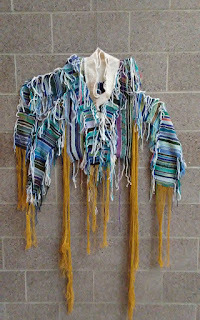 The pieces, collectively called the "Hot Mess Collection," hang in the Liberty Community Center Gallery, Liberty, MO. The exhibition runs from Oct. 1 to Nov. 25, 2018. 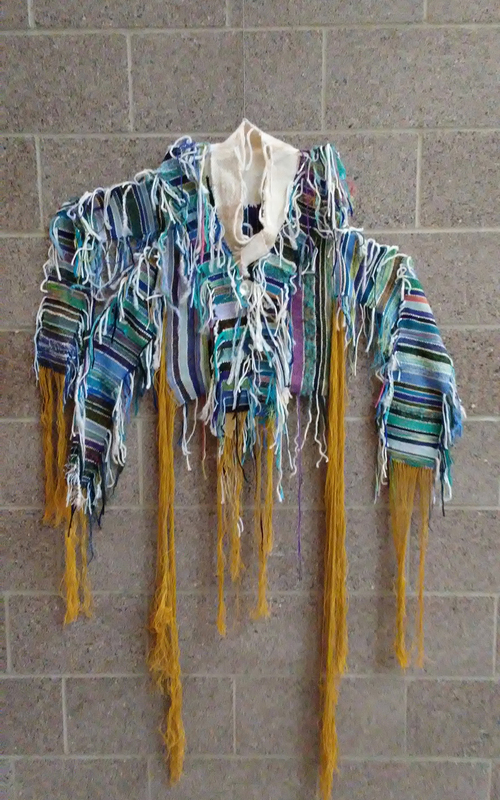 The pieces were handwoven on a rigid heddle loom. The early pieces emerged during a period of self-quarantine during chemotherapy for recurrent breast cancer in 2017. The pieces reflect my frustration and stress about the treatments, which included mastectomy surgery and four months of healing, followed by four months of chemo. The pieces' distorted and irregular shapes reveal my anxiety about my altered body image. 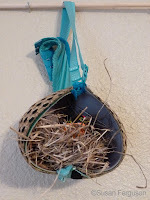 The bright colors and erratic weaving style -- woven by hand one strand at a time instead of using the more efficient shuttle, with the edges left decidedly messy instead of being polished and neat -- are indicative of my attempts to find joy in my predicament. 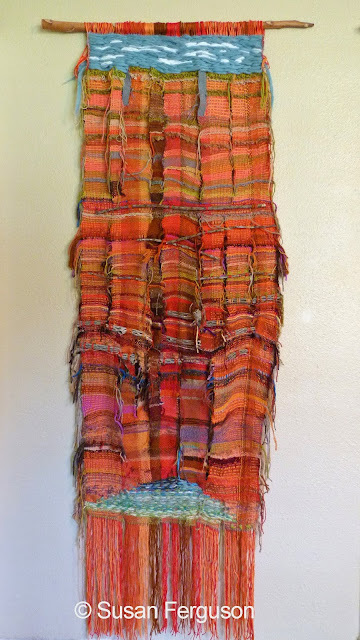 Weaving these pieces was tremendously therapeutic; creating tangible objects to which I could transfer my emotions proved most helpful in the healing process. Pieces include "Tank Top," "Pants," "Wedding Dress," "Blue Pinstripe Jacket," "School Uniform Skirt" and "Ugly Christmas Sweater." The Liberty Community Center Gallery is located at 1600 S. Withers Road, Liberty, MO. The exhibition is free. The gallery is open daily.